New Delhi, March 20: Shares of Reliance Communications further zoomed 10 per cent to hit the highest trading permissible limit for the second day in a row Wednesday after the company cleared dues of Swedish service provider Ericsson. The scrip rose sharply by 10 per cent to Rs 4.84 -- its upper circuit limit -- on the BSE. On NSE, shares advanced 9 per cent to Rs 4.80. On the traded volume front, 150.71 lakh shares were traded on BSE and over 3 crore shares changed hands on NSE. Shares of the company had zoomed 10 per cent Tuesday too. Anil Ambani Thanks Brother Mukesh Ambani For Helping RCom Pay Rs 460 Crore to Ericsson. Embattled billionaire Anil Ambani Monday warded off a possible jail term as RCom cleared dues of Ericsson with the money received from elder brother Mukesh and his wife Nita, whom he thanked for standing by him in trying times and extending "timely support". 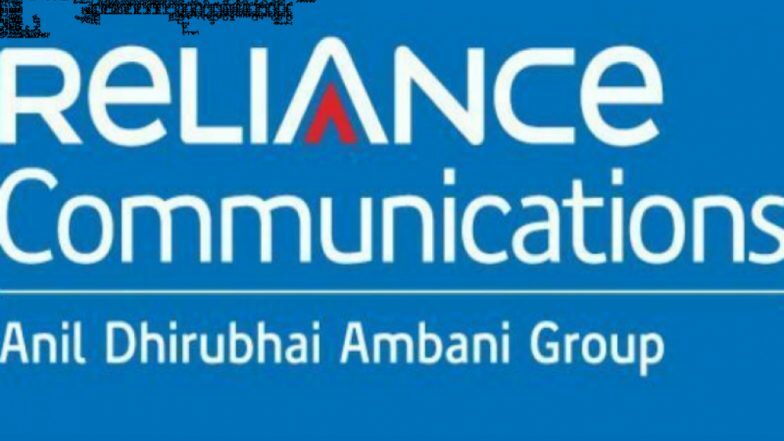 Anil's heavily debt-laden Reliance Communications made a Rs 550-crore payment, including interest, to Ericsson just a day before expiry of the deadline set by the Supreme Court to clear dues or face a three-month jail term. In a statement, RCom said the payment of Rs 550 crore dues to Ericsson, including interest dues, has been made in compliance with the Supreme Court judgement.